Around half the government fund to stimulate people to drive electric cars has ended up in the hands of ‘rich Tesla and Jaguar drivers’, the Volkskrant said on Wednesday. 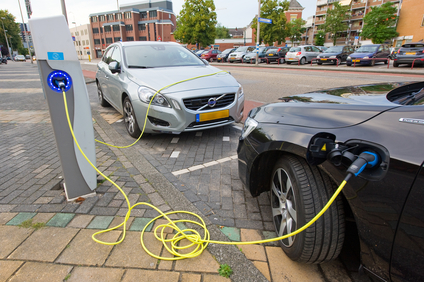 Last year, the government said it would fund tax breaks totaling €700m for electric car drivers. But almost half the 25,000 electric cars bought in the Netherlands in 2018 were Teslas and Jaguars with a price tag of €80,000 to €120,000, the paper said. In particular, the sale of Teslas rose 260% last year. The paper bases its claims on answers to MPs’ questions given by tax minister Menno Snel in parliament on Tuesday evening. This means that CDA leader Sybrand Buma’s comments that ‘prosecco-drinking Tesla drivers’ have profited from the tax break at the ‘expense of the ordinary man in the street’ are largely true, the paper said. Every village (not every house) now has access to electricity in India. I’m sure the villagers appreciate fossil fuels. Mostly Hydro and Nuclear. And a little wind.